When was the last time you flew a kite? As a kid, you may have experienced the joy of seeing your kite finally lift off the ground and soar through the air with its vibrant colors. Now, you have another opportunity to revel in that excitement! Don’t miss out on the Atlanta World Kite Festival in Piedmont Park. It’s a full day of flying kites, enjoying delicious foods, and listening to live music. 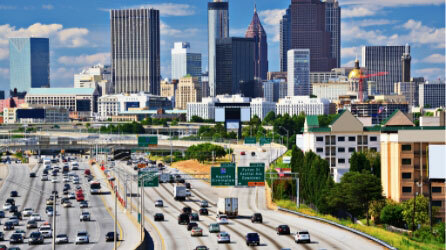 Before you go, make sure you take a look at our free Travel Guide to Atlanta! You’ll discover even more must-see festivals as well as some of our local tips. In 2011, local community members decided to start a unique event to bring people together. Today, the Atlanta World Kite Festival continues to pick up steam as it heads into another year of celebration. The annual festival takes place on the fourth Saturday of October — will you be attending this year? If you’re wondering where you can purchase tickets, you can put your money away. Admission is completely free! Just show up and experience the enjoyment of kite flying in Atlanta. All of the fun happens at The Meadow section of Piedmont Park. The event organizers selected this location for its wide-open landscape and strong wind currents. You’re sure to have an unforgettable time here! When you arrive at the park, you can see dozens of colorful kites filling the sky. Feel free to bring your own or buy one at the event. Whatever you decide, we recommend joining the fun! Let yourself forget about life’s stresses and enjoy the simplicity of this nostalgic activity. You can even register for a kite making contest! Get the most from your experience and save your appetite for some delicious options at the event. Choose from several food trucks, each offering different cuisines to satisfy any craving. Or, if you want to try a local fine dining restaurant, we invite you to take advantage of our Gourmet Getaway special! It’s the best way to enjoy some of our favorite eateries nearby. Even if you’re not a professional photographer, we suggest bringing your camera along to snap Instagram-worthy pictures. If you don’t own one, remember to take your phone out and capture some memorable moments. The timing and location of the Atlanta World Kite Festival make for an incredible environment. There’s no better place to be than Piedmont Park as the fall foliage overflows with vibrant colors. When you’re not flying a kite, take a moment and go for a stroll in the crisp, autumn air. Did we mention that the kite festival in Piedmont Park is within walking distance of our bed and breakfast in Midtown Atlanta? Whether you attend an event or go for a peaceful walk, our location is perfect for year-round activities. You can even check out the wide variety of additional things to do nearby! At Stonehurst Place, we offer more than a convenient location in the city. Experience the utmost care and service to make your stay exceptional. 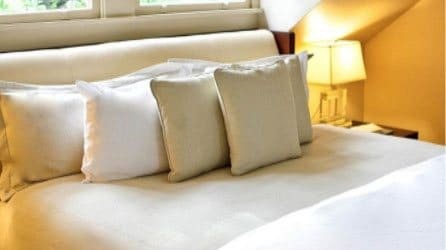 Our accommodations and amenities will exceed your expectations and show you a new level of luxury. Remarkable artwork, top-of-the-line linens, and marble bathroom floors are just some of the things you can find here. Explore some of our elegantly designed guest rooms now and experience lodging like no other! We look forward to seeing you!